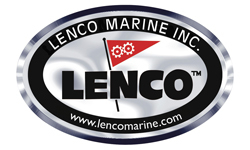 - DAVID DEMERS, PRESIDENT OF SECURITY STEEL SUPPLY CO.
- SAM MULLINAX, CO-FOUNDER AND CEO OF LENCO MARINE, INC.
"BDO Capital Advisors proved to be an invaluable resource throughout the process of selling our family's niche test engineering and professional services business. The senior level of attention and support we received at every step of the way assured us that the entire BDO Capital team was advocating for our family's best interests. Bill and his team tactfully navigated some unexpected transaction hurdles to arrive at a successful deal closing." 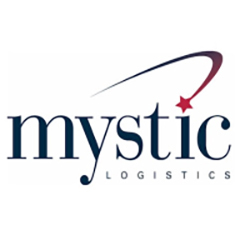 - CHARLENE DUFRESNE-ACHATZ, CEO OF MYSTIC LOGISTICS, INC.
"I thank BDO Capital's deal team for the outstanding job of positioning our Company to maximize value and navigate potential deal hurdles throughout the process. The team's guidance helped us navigate the auction process that led us to this decision and this exciting chapter in our company's history. It was a difficult decision to pass the torch, but I believe we selected an outstanding partner in Soudal." "We would like to thank Valentina Midura and her team at BDO Capital for proving to be an invaluable advisor in the sale of our business. We appreciated their professionalism and process of identifying the right buyer to help take the company to the next level. They also guided us through the complexities of various deal structures and negotiations that gave us confidence that we received the best deal possible." 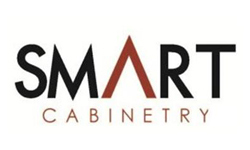 - BRIAN KERINS (CO-FOUNDER AND PRESIDENT) AND PATRICK MANNING (CO-FOUNDER AND PRINCIPAL) OF ELECCOMM POWER SERVICES, INC.
- CRAIG MCELHENY, CEO OF STORAGE SOLUTIONS INC.
"We really appreciated BDO Capital's flexibility in tailoring the sale process to meet our timeline, objectives, and confidentiality requirements. Bill and his team did a remarkable job finding a buyer that not only shares Brookdale's vision for growth and strategic goals but is also a strong cultural fit." "BDO Capital’s experience in the building products space was evidenced by their knowledge of key industry players and nuances. In addition, they listened to our shareholders and tailored the process and timing to best achieve our goals and objectives. Consistently delivering on their promises of around the clock availability and senior level attention, BDO Capital served as our trusted partner without fail and ultimately helped us achieve a great result." "BDO’s senior-led team worked hand-in-hand with us from start to finish, taking the time to really understand our business and what makes the Company unique, expertly telling the Neutronics story throughout the process, and generating incredible enthusiasm from the marketplace. We are thrilled with the outcome and have found a great partner in FFL and Bacharach as Neutronics enters its next stage of growth." - GARY HALPERN, PRESIDENT OF NEUTRONICS, INC.